We did some significant driving these last five days, leaving Chennai to venture to Pondicherry and then to Mahabalipuram. Pondicherry is the capital of Puducherry, an old French colony, now a “union territory” of India. A union territory is a not like a state, in the sense that states have their own elected government, but rather the UTs are administered by the central government. Thus, the seven union territories in India are federal territories. However, Puducherry has special status because of the Treaty of Cession of 1956, where the four territories of former French India were allowed special status. So Pondicherry has a legislative assembly. 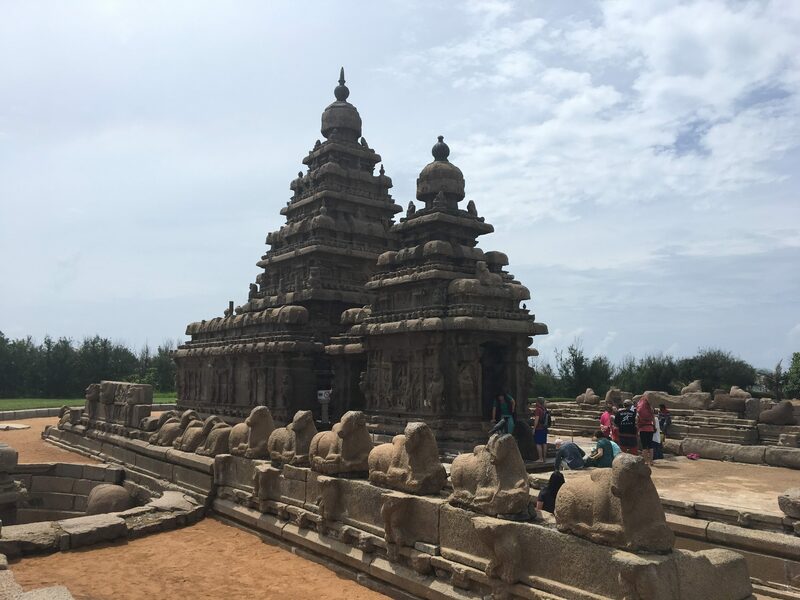 Mahabalipuram is back in the state of Tamil Nadu, where Chennai also resides. Mahabalipuram is the home of the Shore Temple and several other monuments constructed over 1,000 years ago, in a monument complex. This was our first visit to a World Heritage site. Speaking of visits, my first visit to India was in the summer of 2005. I’ve returned 5 times, for varying lengths of time, from just a few days to almost 4 months. In twelve years, some things have changed greatly; others not at all. Pondicherry and Mahabalipuram haven’t changed all that much. The East Coast Road that we took to those cities has changed a lot, though. It has been repaved and upgraded. These upgrades shaved many minutes off of our travel time. That, and we had Arvind, a driver who didn’t hesitate to push down on the accelerator, at the wheel. 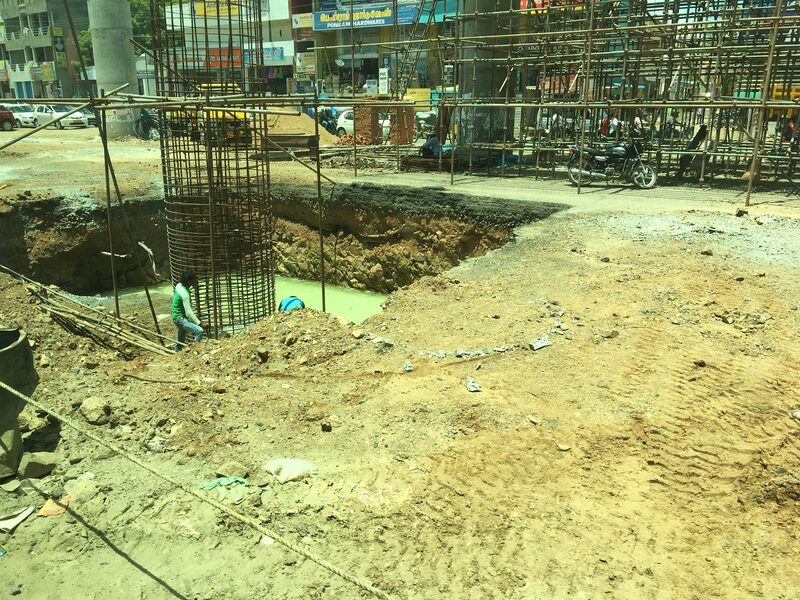 I’ve been reflecting on the rapid growth of India. 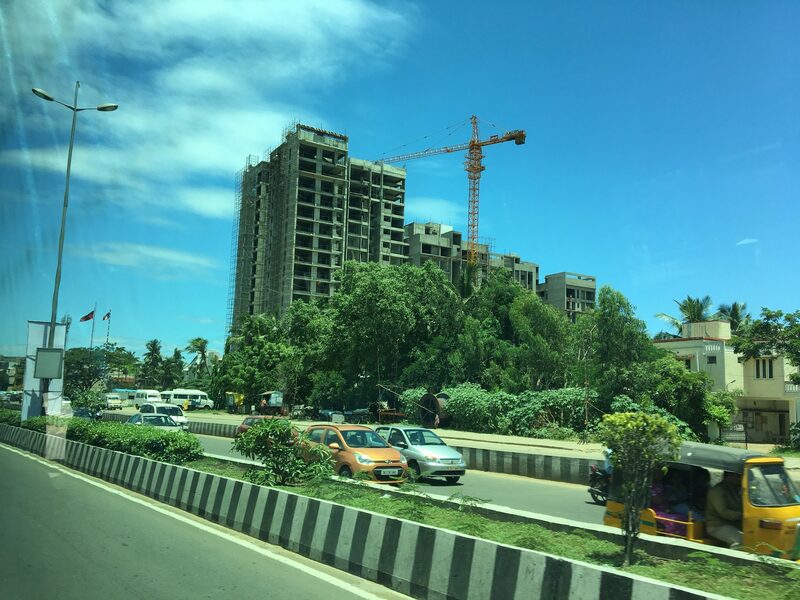 Along the way on our bus ride to Pondicherry and Mahabalipuram we saw much evidence of the construction boom, especially closer to Chennai. 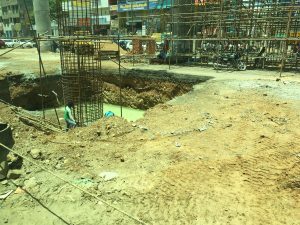 There is a flyover being constructed (flyovers are the Indian equivalent of bypasses in the US). We learned that economic growth in India is at about 5.7%, and while that is down, it is much higher than growth in the United States (Prabhakar 2017); Donald Trump wishes! This is down from over 7% in past years. One wonders whether India can have sustainable development at that rate of growth. 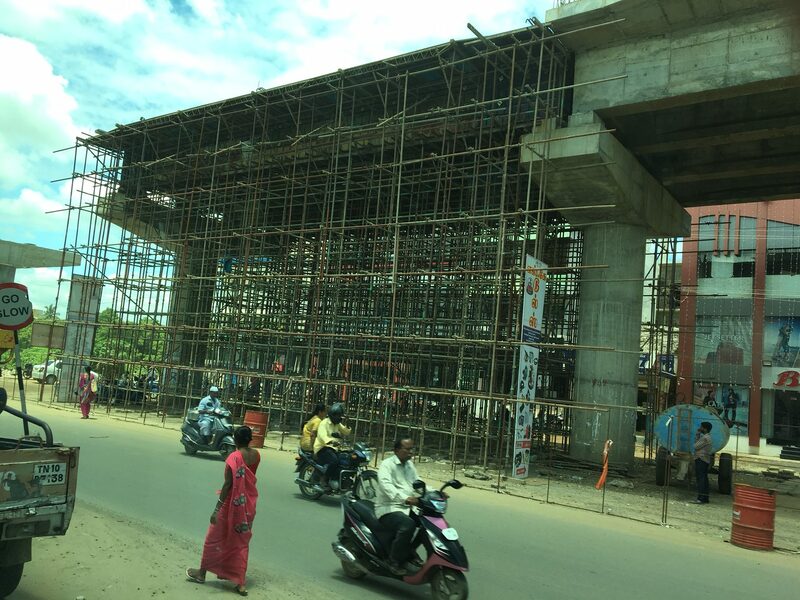 Most of the buildings are constructed of concrete in India (anything made of wood in this climate would get eaten by termites or rot in the humidity! ), and we know that the production of concrete is energy intensive and emits a lot of carbon dioxide, responsible for global climate change. A major component of concrete is cement, and the cement industry is a large emitter of carbon dioxide. In fact, the production of cement is estimated to produce about 2% of human emissions of carbon dioxide. That is then added to any additional emissions produced during production of concrete. I also observed many high tech and high rise buildings that I don’t think I had seen before. These buildings actually look like a lot of glass and steel, much more Western in that sense. 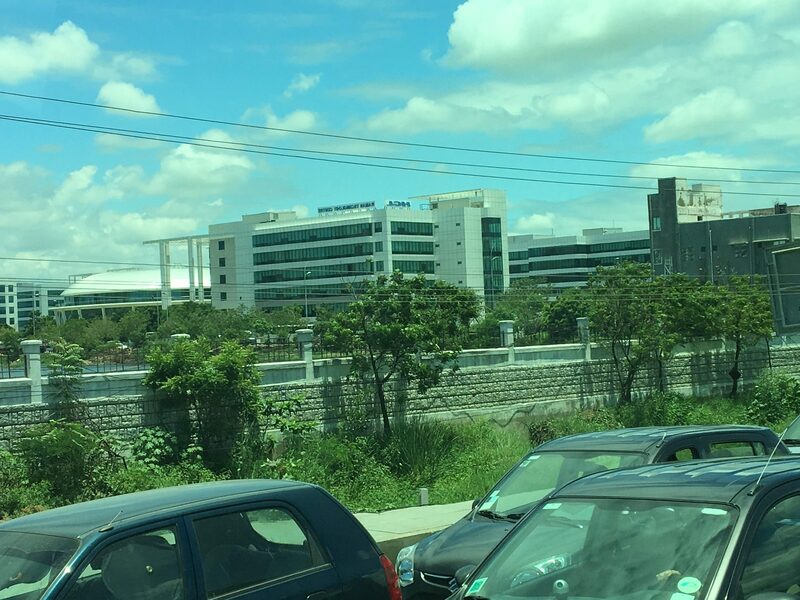 I’m not sure what all the buildings are, but some look like medical or biotechnology research parks and some look like they might be expensive high rise apartments. The economic growth in India is tied to their population growth, of course. 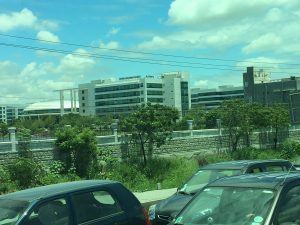 Chennai is the 4th largest city in India and it will continue to grow for some time, I expect. More industry and new developments will continue to encroach upon wetlands and farmland, with the city sprawling outward and upward. 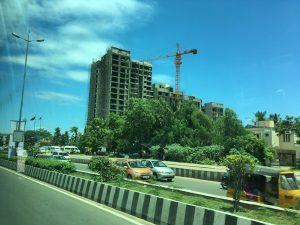 The challenge for Chennai and other large metropolitan areas is whether they can grow in a smart, efficient manner.